All of our salmon are wild-caught from clean, clear waters in the U.S. and Canada. Because of their shorter lifespan they do not have the chance to accumulate higher amounts of mercury. 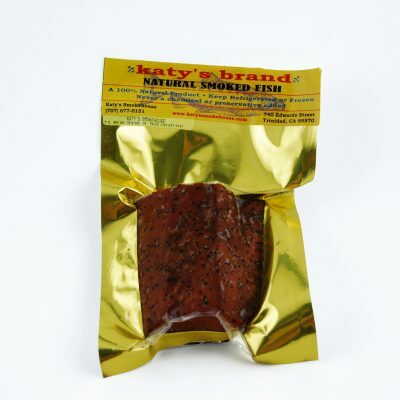 For over sixty years Katy’s has been smoking premium grade No. 1 King Salmon (Chinook). Most of our fish are caught by hook and line and all are ocean fresh quality. 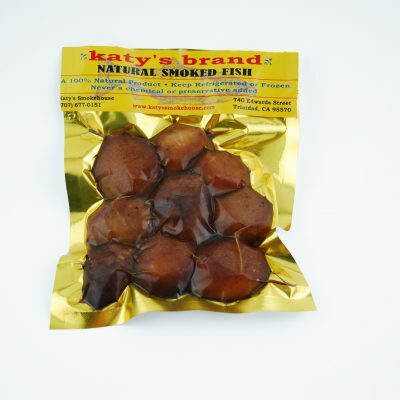 The process we use to cure and smoke our fish is entirely natural and takes up to three days to complete. 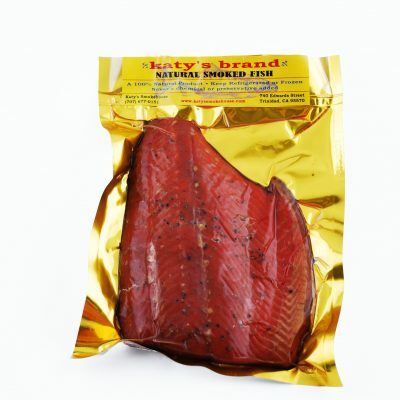 The fish is first smoked without heat, and then gradually the temperature is raised during alder smoking until the fish is completely cooked. We take no shortcuts and never use chemical additives or coloring agents! 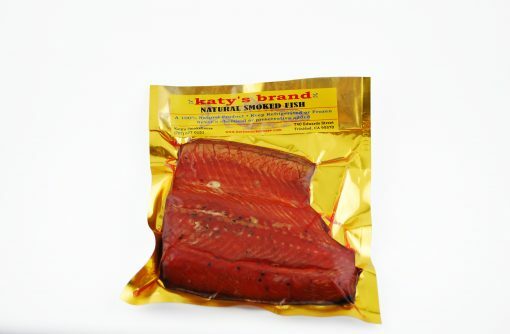 Katy learned to smoke fish from her friends at the Yurok Indian Nation and was careful to include all steps required to do a perfect job.